ANH, Quickly, Quickly, Mo Vibez, and Olu Bliss All Combine For a Stunner In "Charade"
ANH & quickly, quickly – Charade (Ft. Mo Vibez & Olu Bliss). Wow. This is a collab for the ages. 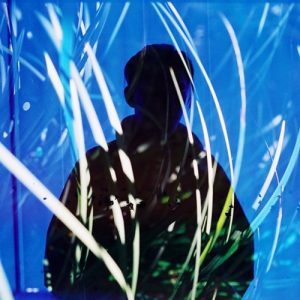 The third and final single off of Australian producer ANH and American producer quickly, quickly‘s Preach EP, “Charade” may be the best of the bunch – and that’s saying quite a lot. ANH and quickly, quickly have proven to be a formidable team, their last two collaborative singles, “Preach” and “Contrast,” both having been received extremely warmly, racking up hundreds of thousands of plays in short order, and garnering coveted placements on official Spotify playlists. The two have teamed up with Austrian producer Mo Vibez and American vocalist Olu Bliss for an absolute tour de force in “Charade,” a super jazzy and soulful effort which perfectly fuses they styles of all the artists involved with the track. You’ll be sure to have this infectious track on repeat – it’s the perfect summer anthem. “Charade” is available everywhere here, and can be downloaded for free here.